The adorable Jack Russell Terrier is one of the smartest dog breeds in the world. These dogs are very independent, super smart, as well as lively. While they may be charming and super affectionate, they can be hard to train and manage. Do not let that deter you because these dogs are as smart as they are cute. Jack Russell Terriers are in the Terrier dog breed group. They are pretty small, ranging from 10 inches to 1 foot and three inches tall at the shoulder. Their weight range is about 13 to 17 pounds so they are a pretty solid dog. Their lifespan is nice and long so you can expect to keep your Jack Russell for 10 to 15 years. 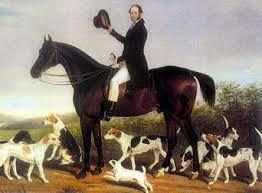 About 200 years ago, hunting was a very popular pastime for men in England, especially men in the church. One of those men was Parson John “Jack” Russell. He loved to hunt with his friends and wanted an efficient hunting dog to go with him on his trips. With this, he decided to design a hunting dog that would be a perfect fit for him. He wanted an athletic dog who was fast, intelligent, determined, and had a desire to hunt. Russell wanted this dog to hunt with hounds and entice foxes from their dens so that the hounds could then chase those foxes. 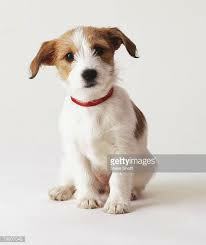 After many trials and errors, Russell finally created the perfect hunting dog: The Jack Russell Terrier. After many years of working successfully in England, the Jack Russell Terrier was known in the US by the 1930’s and it was debated as to whether the breed should compete in conformation shows or remain a working dog. Today, the Jack Russell Terrier Club of America considers the breed a purely hunting dog. 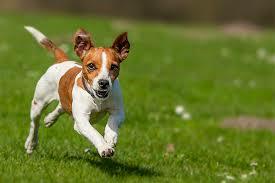 Jack Russell Terriers are very energetic and spirited with a ton of personality in a little body. They are very loving and devoted to their owners while also being very amusing and fun to play with. As stated before, these dogs are incredibly intelligent which can make them very difficult to train at first. Because of their hunting roots, they can be aggressive toward other dogs and any animal that might resemble prey. Their fearless nature can also put them in danger when they try to take on a bigger dog because they have a Napoleon Complex similar to Poms. Jack Russells thrive on structure and routine but training sessions should remain short or else they lose interest. Similar to the other dogs discussed in this blog, the Jack Russell need early socialization to ensure that they grow up to be well-rounded. 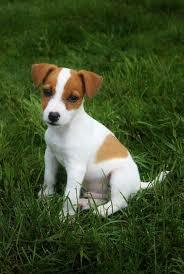 Because of how smart Jack Russells are, they are commonly used in Hollywood in many movies and tv shows. One Jack Russell that is very famous is Uggie. Uggie was born in 2002 and was rescued from the pound by Omar Von Muller after his original owner thought he was too “wild.” Uggie was made famous from his roles in the movies Water for Elephants and more importantly, The Artist. All audiences were captured by Uggie in The Artist because of how well trained he was and all the amazing tricks that he did in the movie. 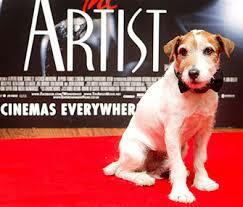 Jack Russells had a long history in Hollywood, it was not just Uggie. In 1938, a Jack Russell named George appeared with Katherine Hepburn and Cary Grant in the movie. “Bringing Up Baby.” Jack Russells also appear in movies such as The Mask, the Jerk, and Wishbone. If you want to make some extra money by making your dog a star or if you just want to have a new vibrant companion, then adopt a Jack Russell Terrier! These dogs are so cute!!! I didn’t realize they were so popular in Hollywood. I love dogs, I also have a dog in the Terrier group. The pictures you included were fantastic here. I loved this blog idea! I love Jack Russells (my aunt has two!). I was impressed by how the blog was both informative and fun. The pictures were also great supplements to the article (and not to mention very cute!). My favorite aspect was that you had a link to adopt Jack Russells because this shows how much you truly care about helping out dogs. I discovered this Website by accident and I love it! I have a Website myself about the Jack Russel because I love this cute Little stubborn dog. It is always nice to learn from another source. Thanks so much!